It orients you. Especially if you do the tour early in your trip, it establishes some sense of direction in an unfamiliar place, which will be immensely helpful when you inevitably take a wrong turn later. It introduces you to people. Tours are made up of at least one local (your guide, plus others playing tourist in their own city) and a handful of other travelers. Both will have insights and recommendations about tourist attractions, restaurants, and the culture of the area. It covers the basics. No, you won’t get an in-depth history of the city, but you’ll learn the key points. Knowing the background of a place can often tell you why it is the way it is, including dynamics of language, religion, or conflict between social groups. It covers the details. Tour guides love to share fun facts and interesting tidbits that you likely wouldn’t have found out from a guidebook or a tourism website. They may not change your trip in any drastic way, but they can be humorous or intriguing. 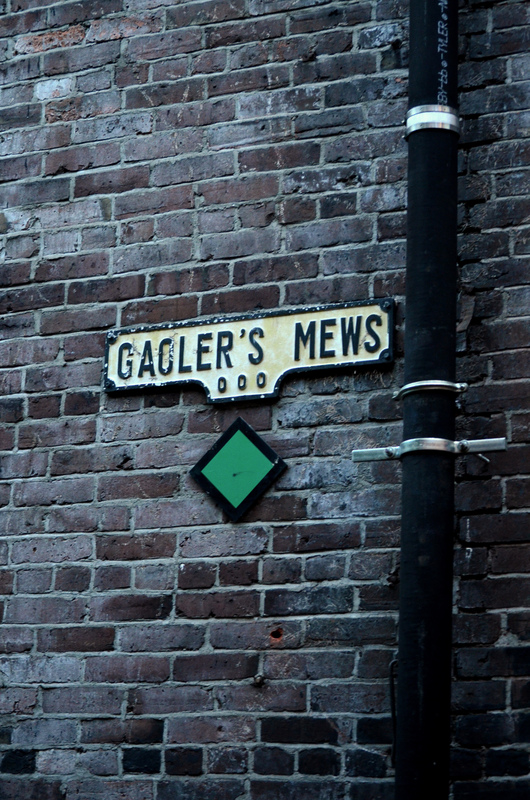 So, of course, when I heard about the Forbidden Vancouver walking tour in the historic Gastown district of Vancouver, it was an absolute must. Our tour guide “George” was an actor dressed in vintage suspenders and a top hat, and he carried a satchel full of old (laminated) photographs and document replicas. He also looked a lot like my first-ever boyfriend, which freaked me out a bit, but that’s another story. George told a general history of Vancouver: in 1862, there was a smallpox outbreak, and its victims were taken to Dead Man’s Island (now private navy property at Stanley Park). In 1886, an enormous fire swept the city, destroying all the wooden buildings and killing thousands of people who didn’t make it to the harbor in time. 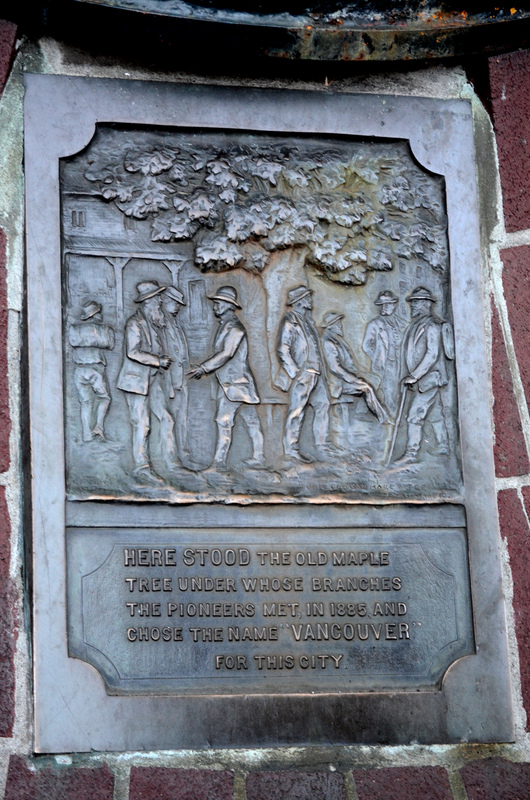 It also burned down the “old maple tree under whose branches the pioneers met in 1885 and chose the name ‘Vancouver’ for this city.” It’s now commemorated with a plaque, and an honorary maple tree has grown in its place. He explained about tensions during Prohibition and how prostitutes used their weekly walks to city hall to advertise their services. Each week the women were charged a $20 fine for their illegal activity, and the “bawdy women” gave Vancouver enough revenue to buy a fire engine, although it came just a few days too late in 1886. George told the story of John Bray, who was shot in the head three times one night in 1898 but didn’t die on impact; instead, he wandered the streets for two weeks, slowly going insane until he finally died of lead poisoning. He provided interesting tidbits, like how the famous Gastown steam clock is actually run on electric power. The only part that runs on steam is the whistle that sounds every 15 minutes. “George” (who later revealed his real name was Mark) was a fantastic actor, and I’d highly recommend the Forbidden Vancouver tour to both tourists and locals-playing-tourist. If my obvious bias towards walking tours lowers my credibility, take it from my Canadian friend who joined me on the walk: it’s a blast. i agree with you! Every time I do travel, I get to explore and see new things that are not in brochure by walking and exploring. You don’t get that kind of experience by driving to a certain location you saw online and that is it. Definitely! Thanks for stopping by, Diana. That sounds like an amazing dream trip! Walking tours are a great way to discover a new city. This one sounds like it was a lot of fun. It was! If you go to Vancouver I recommend it. They’re SO fun for playing tourist in your own city. Underground tours, especially. Walking around on vacation is the best!! I’ve done it on many trips before where I didn’t have a car. A walking tour sounds like an even more enriching way to see things! I love walking around while traveling, helps you get the lay of the land better. Over 12 years in London, and I still love discovering new buildings, alleys, curiosities on my walks. Plus, walking is often faster than the Tube during rush hour!! There’s always something new to discover, especially in big cities. That sounds so interesting. Fire is always dangerous but back in the day, it really could destroy an entire town. Our fire precautions have come a LONG way–we learn our lessons. You know, I rarely take walking tour of cities I visit, because I like discovering the city by mylsef, but I do like getting a guide (espeically in museums or historical sites) whenever the occasion presents itself. You lern so much more more this way. Thank you!! I like doing a walking tour first and then exploring by myself later. Agreed on museum tours–they can give you the highlights & framework for thinking about everything else. Food is a good addition to EVERYTHING. Sounds like something I’ll have to do! I’m an introvert to the extreme, but it sounds like a lot of fun. :) I personally like to explore things on my own and see what I can find that way (I live in Japan, so researching ahead of time is a must, anyway)…. but I’m sure I could get a lot out of it in English! I think it’d be manageable despite your introversion, so no worries there! The tour sounds great! I love George’s stories, especially the one about the man shot in the head. That’s incredible that he survived! We did a similar tour in Chicago, but on water: it was the architectural boat tour, and the tour guide had all these anecdotes and tidbits about various buildings. It’s a great way to discover a city I think! That sounds amazing! Chicago is on my need-to-see-NOW list.